Forget the crowds of Central Park and the flashing lights of Vegas; this one’s for all you offbeat adventurers looking to make your own way down the path less traveled. From cozy cabins in the eastern mountains to the stunning red rocks of the western states, here’s our pick of 5 charming, though vastly underrated, U.S. towns that you should consider putting in your travel plans. To kick off our list, Little Switzerland is one for the nature lovers among us. 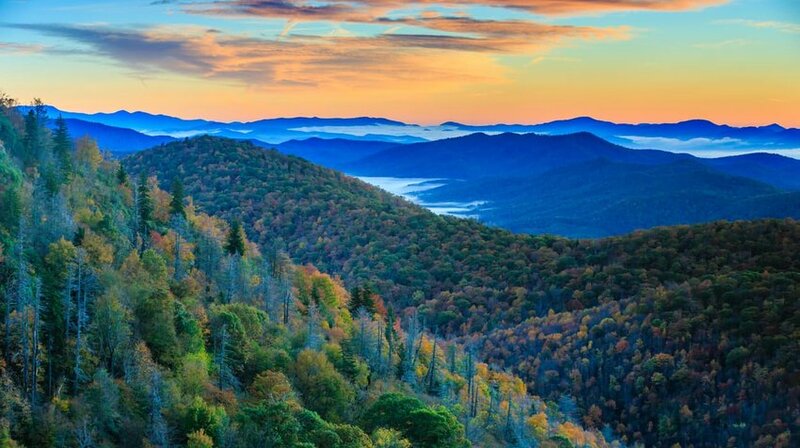 The community is set in the Blue Ridge Mountains at a 3,500-foot elevation – and landscape-wise, it’s delightfully reminiscent of the real deal Swiss countryside. Little Switzerland is the perfect destination for a quiet break from the city. You’ll want to rent a cabin up in the mountains, go for hikes along the nature trails, and peruse the local craft shops where artists flog their handmade creations. Interestingly, the area is surrounded by old gem mines and one of the highlight activities in the locality is to rent out a sluice and bucket and try your luck at dredging up some precious stones. Not only does it make for a unique family activity and a fun day out, but the thrill of actually finding an emerald or a piece of gold in your sluice is unbeatable. If we’re going to be persnickety about things, Moab is technically a city- but with a population of less than 6,000, it still maintains an air of an authentic, small-town community. 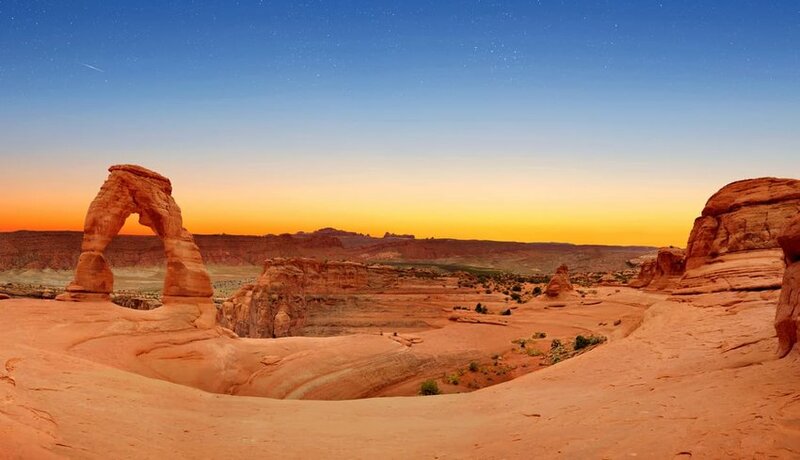 Moab sits right on the outskirts of not one, but two national parks, which has played no small part in the town developing a reputation for outdoor and adrenaline offerings like offroad biking, hiking, canyoneering, and camping. To the north lies the incredibly beautiful Arches National Park, where you’ll find soaring red rock formations and massive sandstone arches. To the south, you’ll hit the Canyonland National Park, with its rugged terrain shaped by the flow of the gushing Colorado River. The area is littered with historical relics, from Native American rock art to bona fide dinosaur footprints. In Moab itself, there are lots of well-curated museums and thoughtfully designed visitors centers showcasing the highlights of the local history. The little town of Taos in New Mexico is super easy to visit for any traveler planning on spending time around Santa Fe. Taos, though steeped in history, is a modern town surrounded by stunning mountains. 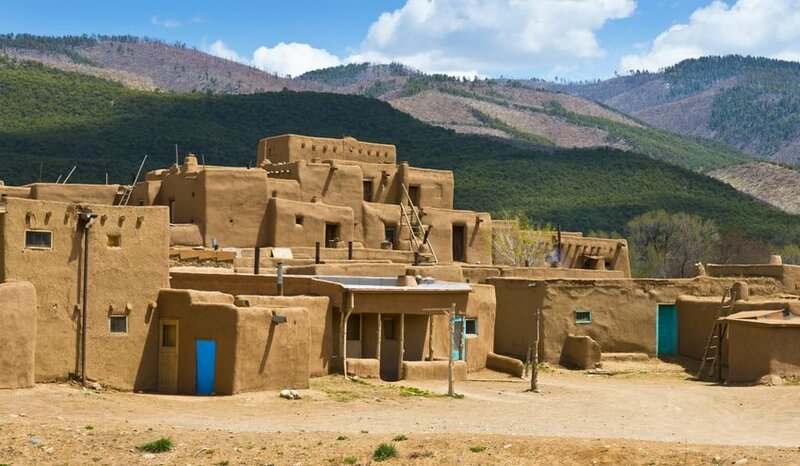 A mile up the road you’ll find Taos Pueblo, a village that acts as a living reminder of what life was like in an America of long, long ago. Taos Pueblo belongs to the Native American Puebloan people, and is widely considered one of (if not the) oldest living communities in America. The Puebloans still live just as their ancestors did; with no electricity, no plumbing, and with great reliance and respect for the land. Their self-built houses sit in a traditional Adobe complex and are surrounded by absolutely drop-dead gorgeous mountains, where you’ll have tons of opportunities to do some skiing, mountain biking, hot air ballooning, golfing, horseback riding, and even llama trekking. 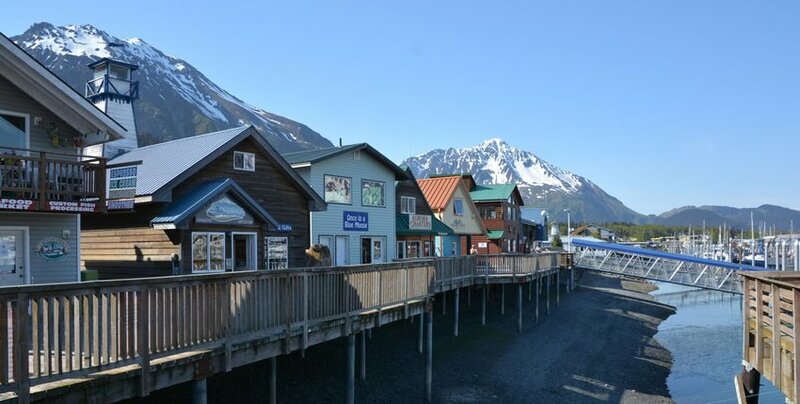 Historically serving as a military port during World War 2 and, before that, as a post for the old Russia-America fur trade, the Seward of today is a small, coastal town whose area is mostly made up by icy water. Seward is surrounded by snow-capped mountains and rugged, frost-covered shores. With highlights like the Exit Glacier, the Kenai Fjords National Park, and Mount Marathon, it comes as no surprise that the best way to experience Seward is in the great outdoors. If you’re lucky, you only need to take a stroll past the pier to see wild humpback whales! By Alaskan standards, the climate here is fairly tame (it rains more than most other places in the state, which serves to even out the temperatures.) That said, it is still subarctic, so pack your wooly underpants. Developed on the back of the demand from the agricultural and fishing industries, Lubec is a small, coastal town that sits on the very most easterly point of the United States. A town that prides itself on not having any fast food restaurants, shopping malls, or- interestingly- stop lights, Lubec is a quaint, tight-knit town that’s perfectly suited to travelers who prefer to skip the crowds and instead spend time with authentic, welcoming locals. Extra brownie points for the fact that the town is also a pleasantly affordable place to stay.